And it happens, doesn’t it? Friends or family share good news and we are pleased for them, but… But, it can also shine a bright light over our own unfulfilled wants and desires: the woman who is desperate for a baby on hearing the news that her best friend is pregnant; hearing your sister’s engagement news when you are stuck in a cycle of dating the ‘wrong’ guy; a good friend getting a promotion whilst you are still ‘making coffee’ – the genuine pleased for you emotions get attacked by feelings of jealousy and unfairness. I love that I am married to a man who does interesting things with his life (who I get to do interesting things with); I don’t ever worry that our lives together will become a boring relay of work, EastEnders and a takeaway on a Friday. There are, of course, many mundane aspects to our lives, but I know there will always be a new experience, or another adventure on its way. We both share a curiosity about life and a desire to learn about the world, which has become an intrinsic part of ‘us’. But… (yes, back to me again) the other sting for me is that we have had to cancel our next adventure – Switzerland – because it clashes with Husband’s trip to Colombia, and which we can’t reschedule because he needs the holiday allowance. I know, I am in no position to complain (Antigua, Japan and Spain so far this year people) but, well, I’ve always wanted to go to Switzerland! Not that I would ever want to be the kind of wife who doesn’t support her husband; I certainly can’t ever imagine uttering the words ‘no, you can’t go!’. We have a saying in our house: No one is the Boss of Me. And yes, it’s clearly a silly saying, but it underpins the ethos of our marriage: we both believe in holding onto our independence within our choice to be dependent. A wise friend said to me last week: ‘the personal journeys we are on (yes, we used the word journeys!) often turn out to be more rewarding and life changing than trips away.’ And as ‘journeys’ go, ‘this’ has been quite the trip. And as I sit here writing, I am reminded that writing has been a life changing experience for me. Whilst Husband has been ‘trapped’ in Corporate life, making sure we have bread on the table (and trips away, of course), my situation has created an opportunity to try new things. Maybe I have no reason to be jealous at all; maybe it’s just his turn. But… still just a little sore about Switzerland. Congrats to your hubs!! And yes I get jealous of mine as well. For a while he was traveling the world for his job. He got to see (although often for only a couple of hours) Budapest, Argentina, China, Madrid, Scotland, Peru and many others. I’m still jealous years later. It is only natural. Give him hugs and hide some love notes in his luggage. Yeah, I would be jealous of all of those places too! I remember when we were first together and I went off to New Zealand for three weeks, I wrote him a card to open every day I was away – but we were young and in lust then! You may not have reason to be jealous, but if you are anyway . . . It is worth finding out why. My bet is that enquiring into this could be a life changing experience. Sorry to hear you feel jealous. it’s the worst feeling isn’t it because it’s so unproductive. I get jealous of people over stupid things (great hair, for example) and it is such a waste of time but I still do it! I remember very vividly the day Dave started his job in September 08. We were supposed to start our legal careers together and I think the fact that they were the same career made it sting a little more. It was a real effort for me not to be an absolute cow to him that day, so I think you are already a better woman than I! Oh and I reiterate my lunch invite if you are looking for company when Husband goes away. You can show me where’s good in Notts! Yes, I got your Tweet. Thank you – you’re very sweet. And hey, it might be life changing meeting BG IN THE FLESH! It must have been really hard for you to watch Dave (went to call him MindReader then!) start his career when you weren’t able to. I think that is probably similar to how I’m feeling: it’s not about Mike going to Colombia, it’s about my health, being in a dip, and being able to do so little with my life right now. I suspect if this news had come a few months ago, it wouldn’t have hit me in the same way. Oh, I like being lazy too, but in between living and new experiences. And I’m having a good giggle to myself about my life being dynamic – I know what you’re saying, but it seems very funny from my sofa position! And I don’t even watch EastEnders (although, I watch plenty of other rubbish) just thought it was a good illustration of the mundane! Thank you for sharing BG, reminds me that it’s not that surprising that I’m feeling the way I am. It won’t be glamorous. He’ll miss home and probably feel very depressed about the limited amount he will be able to do to help kids with much deeper needs than his two weeks will deliver. He’ll be tired and won’t get to explore the country, and will be desperate to get back to his own bed. Try and fill the time with a little Blogotherapy? Get him to send you updates and pics, and post them on your Blog – that way you’re part of his trip, and also bringing some attention to the cause. 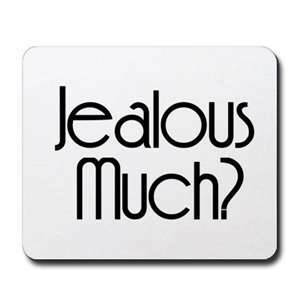 Oh, AND not spending your time being jealous! Chin up, K.
Yeah, the chin is up – kinda. I’ve not been very well the last couple of months, so I think I’m actually more jealous of choices than Colombia. I have a wonderful life just sitting here waiting for me to get back to it, and hopefully that’s exactly what I’ll be able to do very soon. I appreciate this post so much. It talks about a topic that a lot of people are afraid to write about. I definitely understand where you are coming from; some of my friends are doing wonderful things and I’m very proud of them, but I wish I was able to do things similar to what they are doing. Once again this was a really insightful post. Thank you for the kind words Olabode. And it’s comforting to know I am not alone with my jealous thoughts! So wonderfully written. Anyone who can’t relate to this should have their pulse taken. I think being happy for others success or opportunities when in a state of slight envy is such a normal part of the human condition as you so eloquently stated. I looking I look forward to reading more! I am loving the idea that anyone who doesn’t agree with me should have their pulse taken! I could so relate with this post. I grew up overseas and then lived overseas for a long time as an adult. A couple of years ago my husband had all these amazing opportunities, one after the other to go to Lebanon, Kuwait, Egypt, Quatar, it went on and on and I was green with envy. Horrible for the relationship….Loved the post – thanks for your honesty.